This monthly event is a revival of ’70s-style Berkeley folkdancing with some international request dancing to recorded music, capturing the spirit that David Nadel was inspired by when he opened Ashkenaz in 1973 with Balkan folkdancing. One does not need a live band to experience the communal pleasure of dancing together. This monthly event is a revival of ’70s-style Berkeley folkdancing with some international request dancing to recorded music, capturing the spirit that David Nadel was inspired by when he opened Ashkenaz in 1973 with Balkan folkdancing. One does not need a live band to experience the communal pleasure of dancing together, and the dance lessons help newcomers join in the experience. 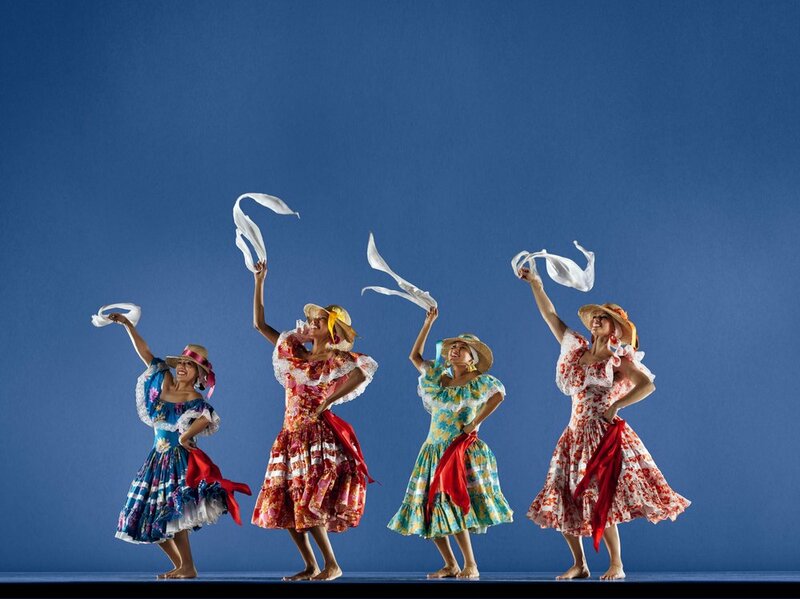 Follow the African Diaspora through South America on this evening of dance and music performance. Experience the music and dance that emerged where indigenous Peruvian, African, and European cultures intersected with De Rompe y Raja, followed by Afro-Brazilian drum and dance ensemble Fogo na Roupa. De Rompe y Raja was founded in 1995, as a cultural organization dedicated to preserving and promoting traditions and culture from the coastal region of Peru, where the music and motifs of European, African and Indigenous peoples intersect. Afro-Peruvian music, song, and dance are a single continuum of rhythms, developed during Peru’s colonial period, when Africans, brought to Peru as enslaved workers, merged their syncopations with the lively dance and music of Spanish colonialists and indigenous Peruvians. These forms have been celebrated, preserved, and reinvented by countless drumming hands and dancing feet. Founded in 1989, Fogo na Roupa is a Bay Area, award-winning, Grupo Carnavalesco and performaing company. Fogo Na Roupa combines the community's raw spirit with the technical expertise of its illustrious Founding Director, the late Mestre Carlos Aceituno. The name, which means "Clothes On Fire", is symbolic of the hot energy generated by the innovative rhythms and infectious dance moves that has created dedicated students and Canavalescos in the greater Bay Area. Under the artistic direction of Jose Rivera and Metzi Henriquez, Fogo continues to fire up the crowds, winning multiple San Francisco Carnaval Grand Championships, , Best of the Bay 2011, and a 2012 "Corazon Del Barrio Award" from Mission Cultural Center. Fogo Na Roupa’s performance highlights include Bay Area opener for Brazil’s popular Olodum and collaboration with prominent Bay Area jazz ensemble, Mingus Amungus, opening for Carlos Santana, internationally acclaimed Brazilian recording artist, Carlinhos Brown, SF Ethnic Dance Festival, SF Symphony 100th Anniversary, Oakland Raiders and San Francisco 49ers halftime shows. This afternoon of folk dancing to recorded music and vegetarian potlucking is sponsored by the International Order of Aging But Still Game Folk dancers. Bring something to share: food, drink, photos,memories, creaky knees, Ace bandages. Young and able-bodied are also invited to attend.